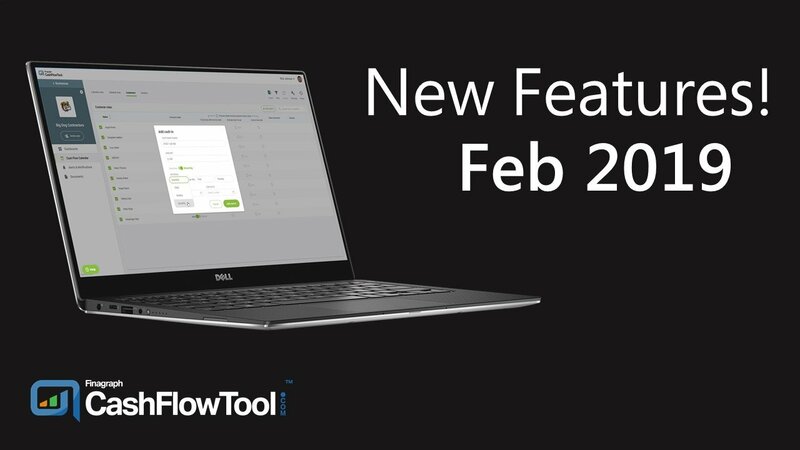 We are excited to announce two new features that will give you even more flexibility and capability using CashFlowTool. CashFlowTool now allows you to manually add recurring transactions to the Cash Flow Calendar. Up until now, you could only add single transactions to the calendar one at a time. 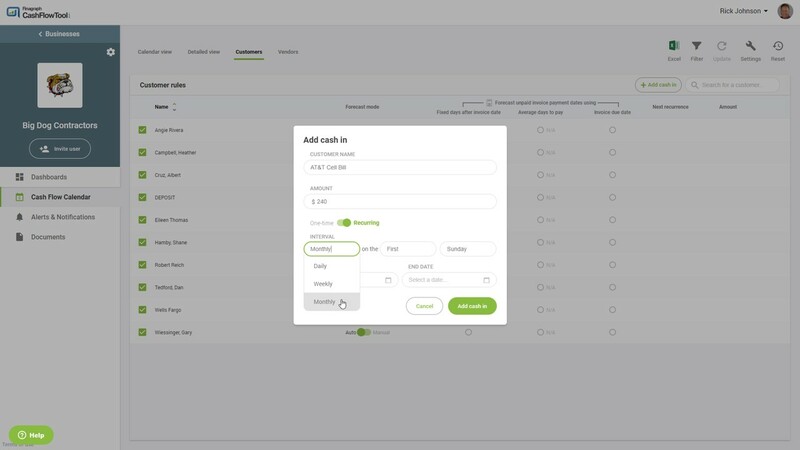 Now, you can add a recurring transaction based on a schedule you define. This saves you time from having to add transactions and provides you greater control of your cash flow forecast. The result is a more accurate cash flow forecast allowing you to make better decisions. Here are some common scenarios for adding a recurring transaction. Want to see the impact of adding a new on-going expense, for example hiring a new employee. 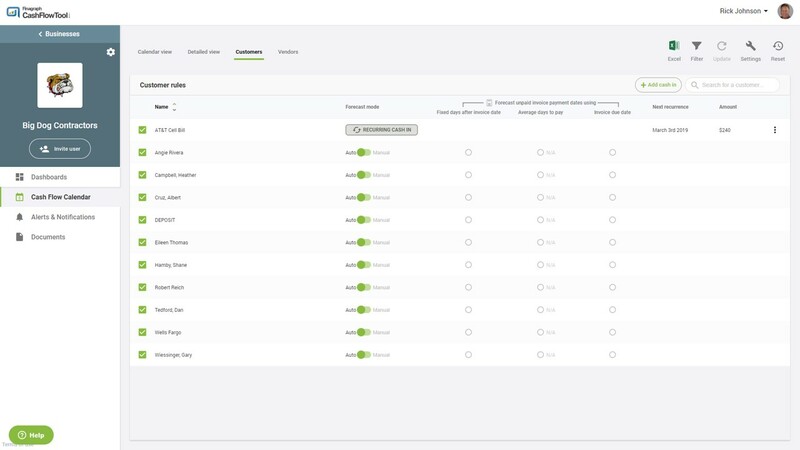 Want to see the impact of adding new recurring revenue, for example signing a new sales contract. Want to quickly compare the impact of buying vs. leasing new equipment. What to override predictions with your own recurrence pattern and amount. For example you plan to switch cell phone carriers to reduce costs. 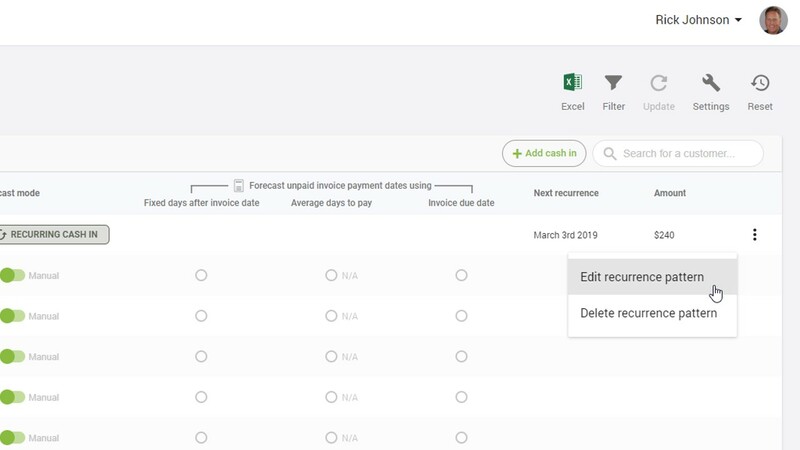 To add a new manual recurring transaction, select either Customers or Vendors from the Cash Flow Calendar. Then press the +Add cash in button or +Add cash out button. Enter the name of the customer, amount, recurrence pattern and the start and end date. If no end date is specified, the transaction will occur indefinitely. CashFlowTool will automatically generate individual transactions based on your recurrence pattern and add them to the detailed view and calendar. This allows you to instantly see the impact on the calendar. You can edit the override and edit individual transactions if needed. You can also edit or delete the recurrence pattern. If you need to edit or delete the manual transaction, select the 3-dots on the right side and a menu will appear giving you the ability to edit or delete. If you edit or delete the recurrence pattern, changes made to individually edited transactions will also be updated with the changes you made. For example, if you add a manual recurring transaction for $200 each month starting in January and ending in December, edit February’s amount to $250 and then edit the recurrence pattern amount to $275, February’s amount will be updated to $275. 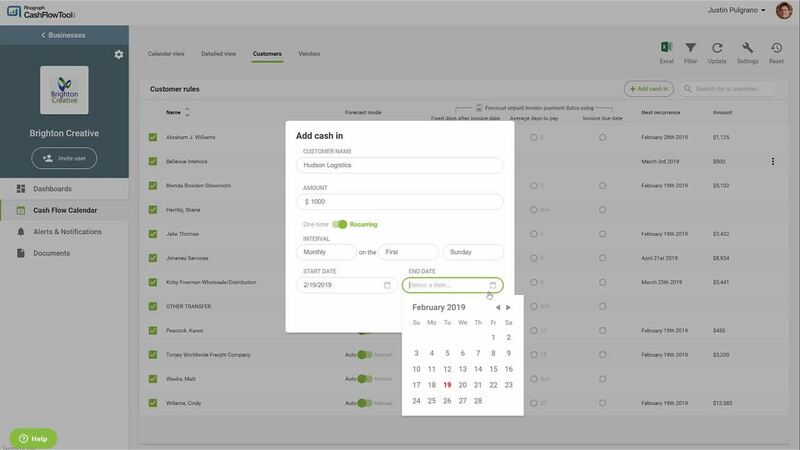 Being able to add manually recurring transactions allows you to quickly update your cash flow forecast and see the impact instantly. This allows you to make better business decisions and to avoid cash flow surprises. Watch the video to get a full demo! 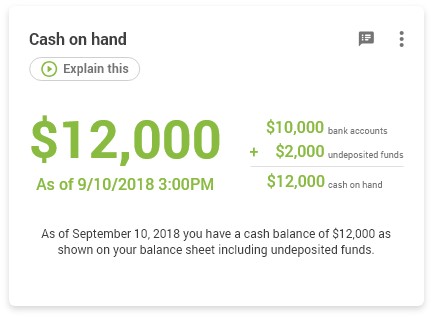 Many first time customers have asked where CashFlowTool gets the number for cash on hand and once we mention that it includes undeposited funds, the number is crystal clear. All of our data comes directly from QuickBooks but we thought it might make sense to quickly update this important card in the dashboard to breakout the undeposited funds and show the calculation. This should better help you recognize your true cash on hand.